LOTS MORE ALL UNDER ONE ROOF. Use the arrows to scroll the page! in the U.K. ONTO THE INTERNET ! We lead, the others just try to follow ! 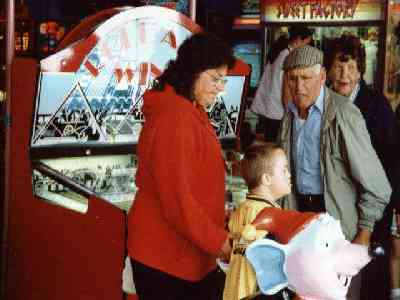 Harbour Entertainment Complex is a two floored Family Amusement Complex (soon to be three floored) , situated at Barry Island on the South Wales Coast. Our aim to provide families of all ages with as much fun as they could possibly have under one roof. ADMISSION IS FREE. Refreshments are on sale including Hot & Cold Drinks, Ice Cream, Rock, Candy Floss , Nougat and a wide variety of snacks. What Harbour Entertainment has to offer !! 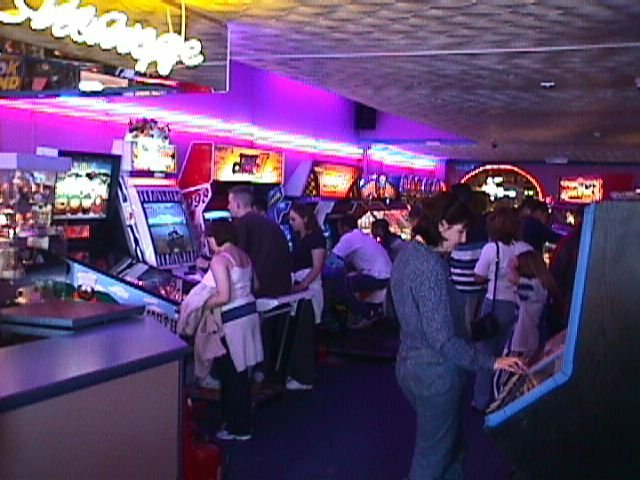 Fun Harbour Family Amusement Complex - Prize Redemption Centre, Latest Video Games and dancing simulators , Amusements, Ice Cream Factory ,and lots more. Situated on the ground floor. 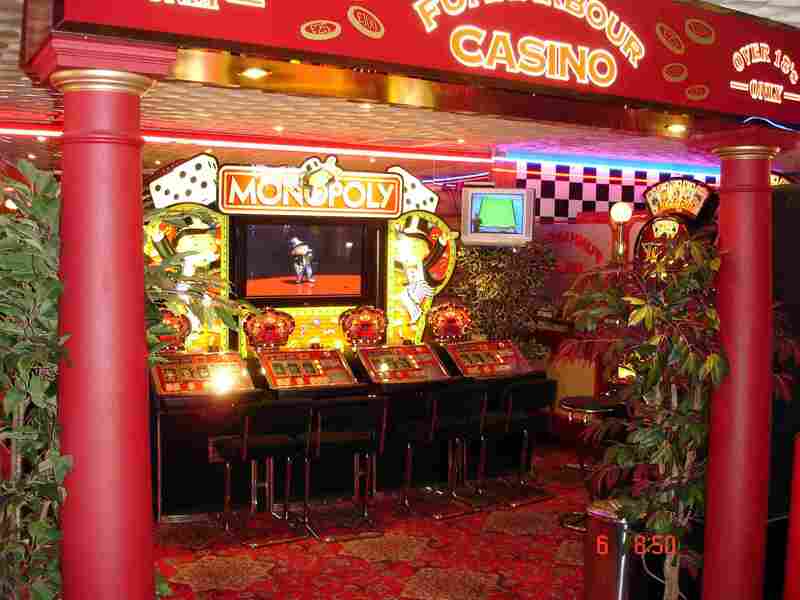 Harbour Casino Over 18's adult gaming area featuring £25.00 all cash jackpots and the hottest slots on Barry Island. Harbour Snooker Centre comprising 8 Snooker Tables ,Pool, Darts & large screen SKY TV with licenced bar serving popular brands of ales and also hot & cold drinks and snacks. Situated on the first floor. Fun Harbour Family Amusement Complex Contains all the latest and the greatest Video Games, Fun Games, Prize Games , Grabbers , Pinball Games and Kiddies Rides you will ever want to find , as well as providing Casino Style Fruit Machines, Food & Snacks, and an Ice Cream Factory all within the Complex. No other location in the area can offer such variety of choice as there is here , and it's all great value fun. 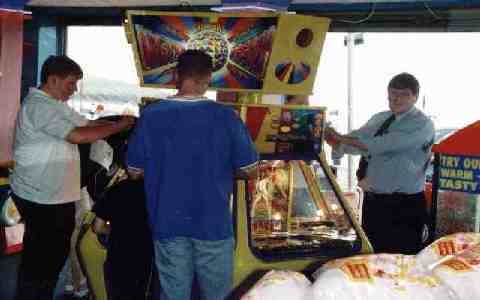 Points make Prizes at Fun Harbour. Collect your points and save them up to take away a large and lovely prize ! Groove to the 70's tunes on the DISCO FEVER. 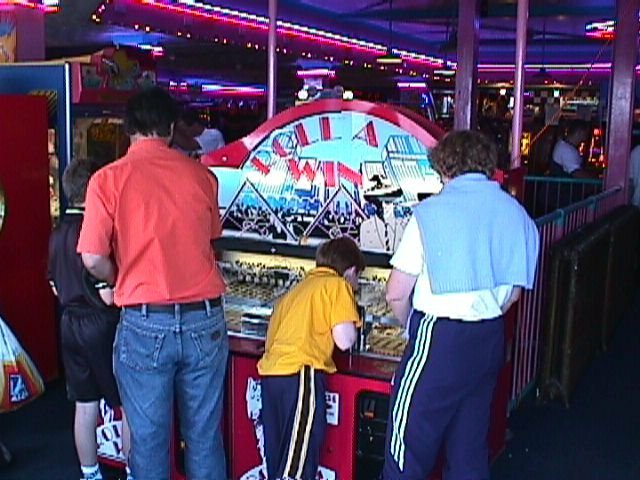 Collect coloured Fun Harbour Points dispensed from this and other pushing style machines. All prizes on display have a points value. Once you have enough points for a particular prize, you may redeem the points to take away that prize. Guide your tuppenny coins onto a rolling playfield of black and white lines on ROLL-A-WIN. If your coin lands in between black lines on the playfield, the machine will pay you out a load of tuppences . 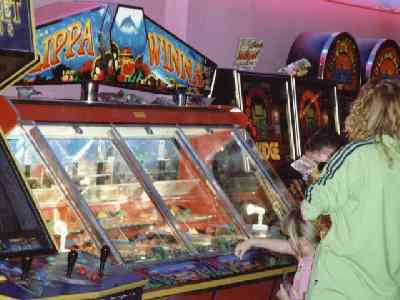 FLIPPA WINNA features a pirate theme whereby coins which you insert into a slot are shot up into the air and land on a paddle pushing playfield. If the paddles push the coins over the edge, you win those coins. Don't forget, you can also collect Fun Harbour points from FLIPPA WINNA. If you are over 18 and want to try and win a fortune, then look no more than the Harbour Casino Jackpot Area, featuring a specialised adult gaming area with the most popular, and also the latest Casino slot machines paying back more than 92%. Free drinks are available to all players in this area, and a member of staff will be happy to serve you. Stools are available on all machines for you comfort, and the area benefits from only the finest carpet and woodwork including panelled walls, mirrors , deluxe chandelier wall lights, and more neon than las vegas. 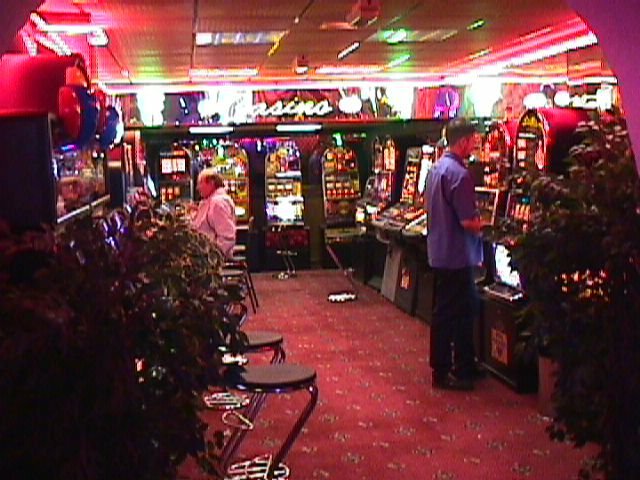 All machines in this area pay All Cash , and Jackpots are £15 and £25 , depending on the stake you are playing. 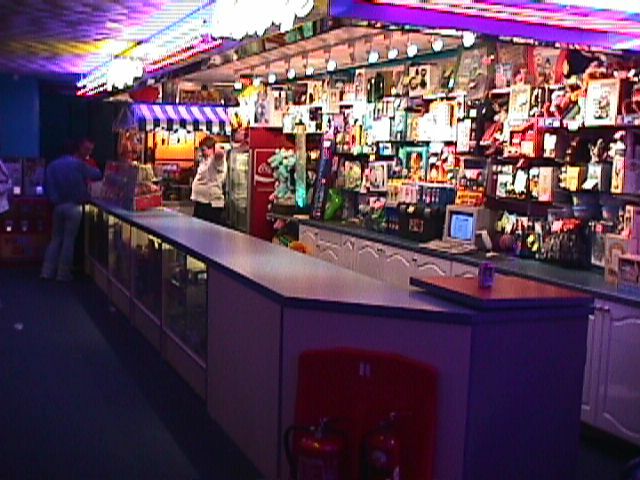 There are over 26 machines in this specialised area and change to play them is easily available from change machines provided. Click here for further information. 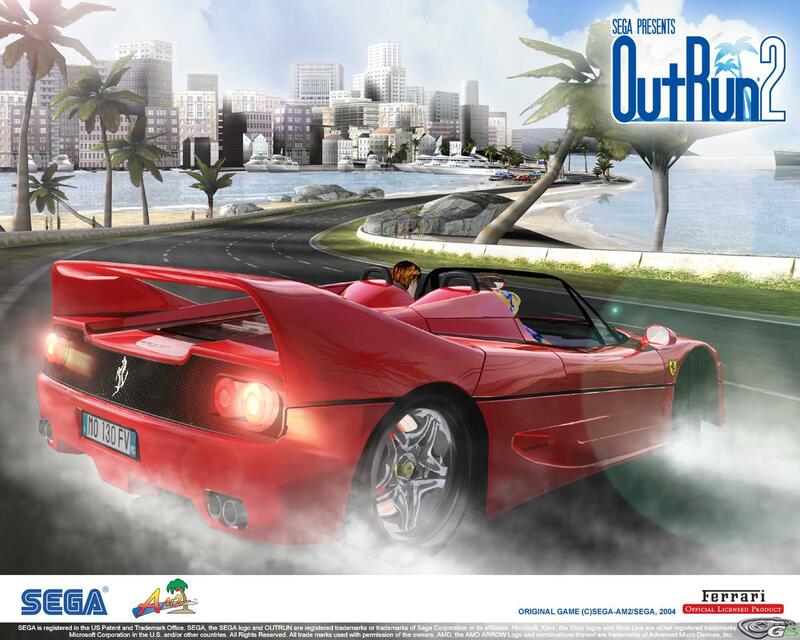 OUTRUN 2 - The greatest driving game ever - and its linked! 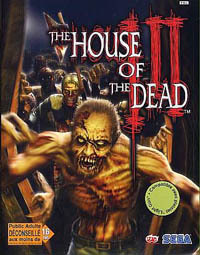 The HOUSE of the DEAD III - Another top shooting game. 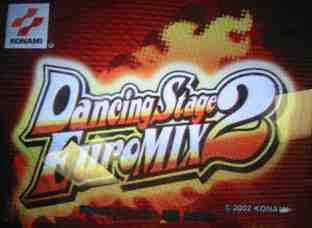 DANCING STAGE EUROMIX- predecessor to above and still a classic. DANCE DANCE REVOLUTION EXTREME (8th MIX) - A similar dancing game to above but the only one available in Europe at the minute with over 250 songs to choose from. 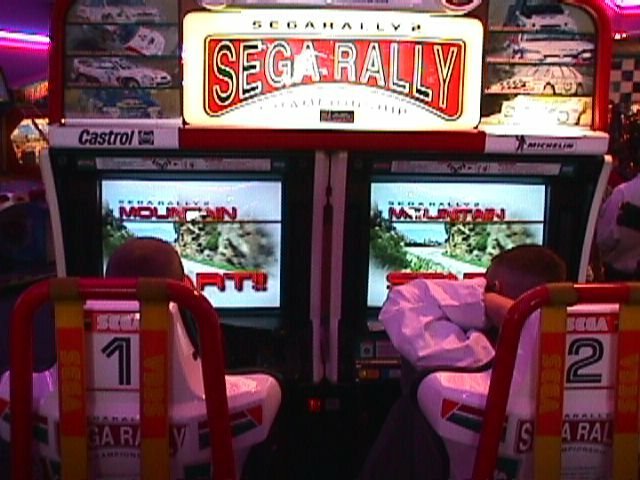 SEGA RALLY 2 - The latest 3D Arcade Racing Game for 2 players. ULTRACADE - A classic cabinet featuring lots of classic games including Defender and Asteroids. CRAZY TAXI - HI-ROLLER - A classic Taxi Driving Game. SILENT SCOPE EX - A real sniper game featuring a giant screen. FISHING TIME - Catch fish to win tickets. HAMMER HEAD - Hammer the sharks to win tickets. PAC BALL - Coin game featuring a video game- very addictive Pac Man style game. 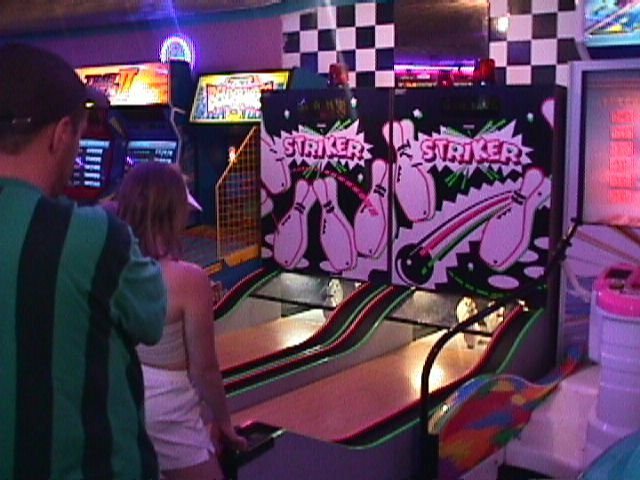 SLAM - A - WINNER - Slam the rubber ball into the holes to win tickets. POCKET MONEY - Pot pool balls to win cash prizes. PHARAOHS GOLD - Shoot money with a crossbow to win cash prizes. HAMMER - Hit the mice to win prizes. DRILL - O MATIC - Drill out your prizes. SWEET FACTORY - Scoop up sweets from a moving playfield. EL DORADO - Capture lost gold coins from the ancient tombs of Egypt. ROLL A WIN - Drop 2p coins in between black lines to win. BELLY BOMBER - Roll balls to monster belly to win tickets. FIRE BALL - Alley bowlers where you bowl the balls into the holes to win tickets! POSTMAN PAT, TWEENIES, BOB THE BUILDER & FIMBLES kiddie rides & PHOTO LOCO. We also offer funharbour.co.uk SPECIAL AIR HOCKEY. Hockey on a bed of air with a puck and bats. We also have great gaming machines. Go on, see if you can win yourself a fortune. All machines pay out in the range from 84 % up to 92 % minimum, and we have stakes of 2p , 5p , 10p , 20p and 25 p play , with £2 , £5 , £10 , £15 and £25 cash jackpots. They are all good payers, we have lots of very satisfied regulars who play them and will vouch for that. We have a wide variety from simple play games, to feature style games. All gaming machines are constantly changing, hence no list, but if you want to check whether we have a particular machine at any time, just email to requests@funharbour.co.uk and we'll let you know. Win some Scoobees , Charity Bands , Crazy Bones ,TY Beanies , Teletubbies, Spider Man, Real Radio Control Cars and lots of different merchandise, check out the PRIZE ZONE section for details of what you can win in the CRANES. Take away a load of Keyrings from Coca Cola, M&M's , and lots of other top brand names on Sports Arena, Drill-O-Matic and Time Buster.. Stop on Red Lights to win Prizes. Collect tokens to win prizes. Play the tuppenny pushers and collect the gifts in our 1600 sq feet Grand Prize Redemption Centre - Its truly unbelievable and we stock a wide range of excellent prizes including televisions, dvd's and microwaves as top prizes. And don't forget, we celebrate seasonal occasions such as Easter and Xmas , with giveaway FREE Raffles. 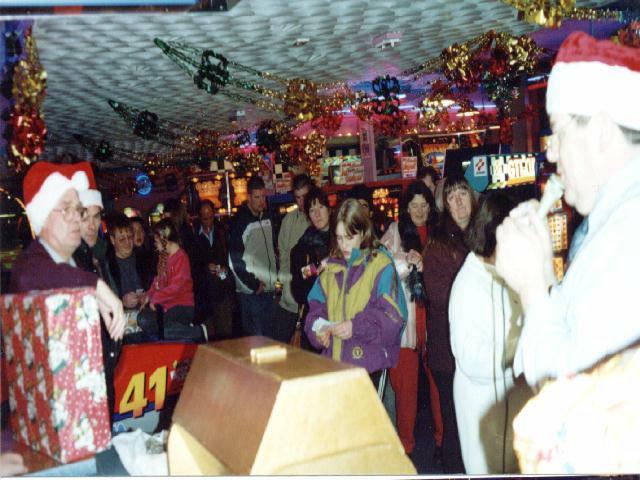 The picture below shows one of our past Xmas Raffles. 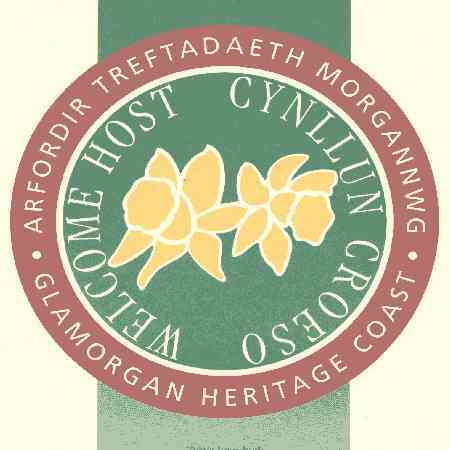 Don't forget, we are open every day of the year except Xmas Day. Opening times may vary, but we do open throughout the Winter, whatever the weather, and you will always be welcome to visit, whenever you like, as often as you like. or mailbox@funharbour.co.uk for any information you may require, or any comments that you wish to make !